VG247 - All Game info. K-ON meister ? 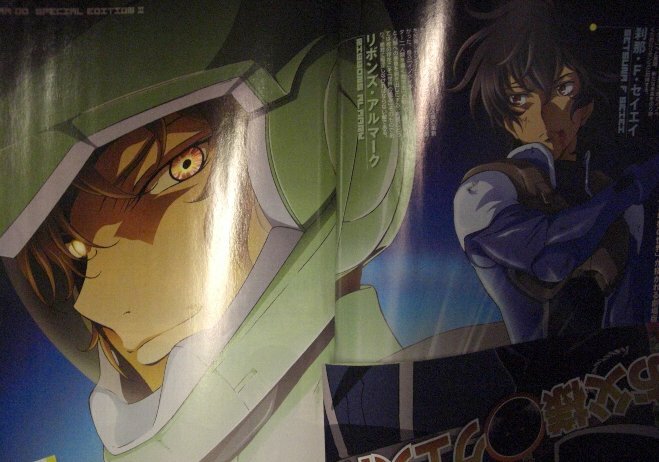 New Gundam 00 Opening ? I pass quickly on the blog to post some news ! I don't even have the time to look them carefully, I will just quote 19.04 seconds' post ! I would like to thanks my friend Soprano on Crunchyroll who post the link on the gundam group - Thanks to him, you can have this great news ! Hey Hey !! Who said it's the end of news .... Continue to look to see the information ! Ribbons and Setsuna, drawn by Ikeda. P44-5 New SE3 images are published along with descriptions. Tieria is the one who informs [the crew?] 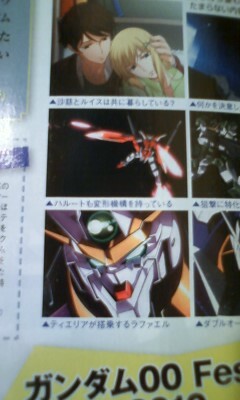 of the location of Exia (Setsuna), which had been floating about in space. Seraphim had new parts added. P46-7 Movie description, Meister designs and images. According to the article, the character that appeared in the end of the year countdown in a light blue suit without glasses was, in fact, Tieria. P47 images from the countdown and newsflash are published. Director Mizushima’s message appeared here too. Finally a date is announced. 9/2010. Each of the Meisters and main characters have descriptions. Just the bits that caught my interest. Illustrations of the designs of the 4 Meisters and images from the news flash that was shown at the countdown event are published. 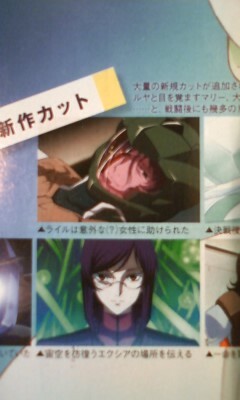 Along with [ones of] Harute, Raphael, and Zabaniya. 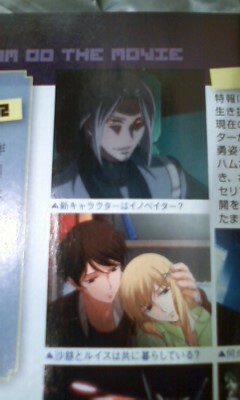 In addition to an image of Qan[T] is Ebikawa’s design. He who became a true Innovator decided to use his ability so that people can understand each other. Although he sleeps since he quantized and became part of Veda, it seems that he’s protecting Veda. Louise is still in the hospital. Allelujah was on a 2-year long pilgrimage and Lyle succeeds his brother’s dying wish. 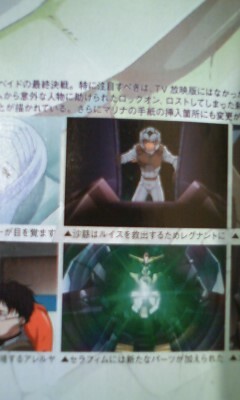 An image of the silver-haired Innovade wearing a Federation uniform was also published. Other images from the countdown and new cuts from SE3 due out 2/23 were also published. Well, it's not a good boy, I'm sure - just by looking his face but grey hair man can not be evil since I saw Sephiroth haha. Design by Design Disease for Smashing Magazine | Blogger Templates by Blog and Web modified by Animatsuri.